These beautifully crafted, emotionally resonant stories speak of the unknown encroaching upon the familiar, the inscrutable power of grief and desire, and the thinness between all our layers. Where nature rubs against small towns, in mountains and woods and bedrooms, here is strangeness seen through a poet's eye. Imagine… Ghosts, gods, and devils - heavens and hells - cities in the sky and cities beneath the sea. Time machines, spaceships - certainly you can imagine Martians, but what about interplanetary vampires? Or a mouse that isn't a mouse? Honeymoon in Hell proves that Fredric Brown has a special vision, a sight beyond our wildest nightmares, a perception of things we couldn't even begin to imagine. This book was originally published in 1961. Many of the stories feel charmingly dated by its mid-20th Century writing and observations. Venusians posing as humans, closets full of radio equipment and silly electronic weapons. The stories hold up well with time and this not a deterrent, just a message to the listener to understand what you are getting. The 47 stories are mostly quite short, a few minutes for many of them. 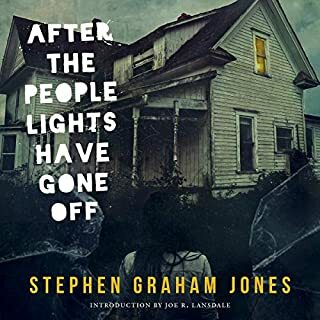 They are quick and witty, rarely giving much depth into the characters, just a flash into bungled murders, foolish decisions, jaunty horror and unwise decisions. Often the stories are literary puns. 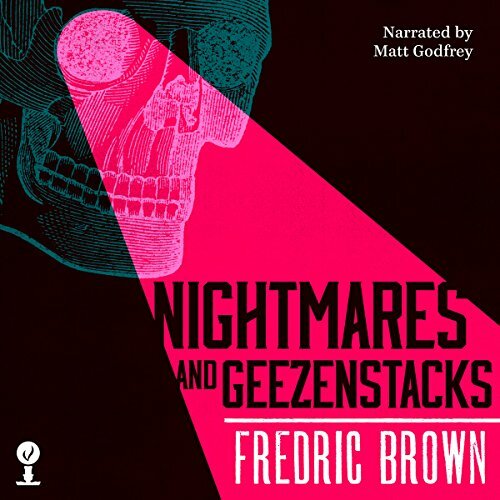 Brown is a noted author with an impressive resume and Nightmares and Geezenstacks may be a good introduction to his work for those discovering his work for the first time. 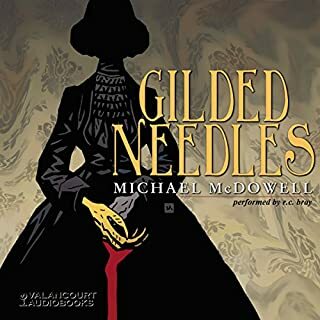 Though it is fun to listen to very short stories, it may not be perfect for those looking to get lost in an audiobook. They are too quick to get into. By the time one starts, it’s over. It’s a personal choice, but for many, these stories would be much more appropriate in their written form, a couple of quick stories before bed or while relaxing on the sofa. Matt Godfrey performs the stories well. 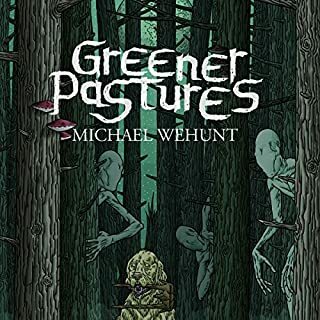 He has an enjoyable voice appropriate for the humorous short horror stories. His character voices are easy to follow and he adds the right tone to them. He pauses when he needs to, like the timing of a comedian, which for many of the stories is exactly what you want. For those looking to enjoy 1960s very short sci-fi/horror/humor stories, this will be a good listen or introduction. For those looking to get lost in a novel or more developed short stories, you might be disappointed. The stories are fun, quick and sometimes a little obvious. You might find yourself guessing what the twist will be in story, as there always is one. It is a throwback to simpler times and that’s sometimes what you are looking for. Basically a book filled with short stories that leave you wondering what happened and wanting more. If anyone has ever seen the Black Mirror series and loved it then I definitely recommend this book. The stories presented here are short--very short. So short that if you listen in your car, and are in and out of your car a lot, you might get lost. They range from the truly horrible, to the funny to the "well, that was a bit dumb." All types of stories: sci fi, horror, comedy. I would highly recommend this gem. And, yes, you will find out what a Geezenstack is. So much fun. a machine gun burst of short stories most ending in an amazing twist. well written, well read. over far to fast. Excellent and Influential Collection of Stories! This collection really stands above most others of its kind, not only from that time period, (the 60's), but this time period as well. That's not to say that some of these stories don't feel dated, because some do, but I don't feel as if that affected their impact. 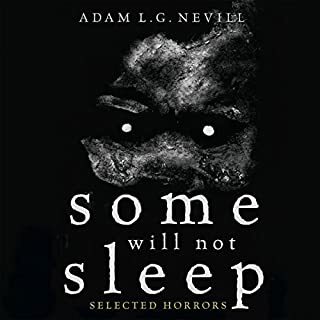 Also, NIGHTMARES AND GEEZENSTACKS will not work for everyone, especially those who love their tales to be extra bloody or leaning towards Bizarro. Horror was tamer in the 60's, and these stories are a product of their time. I love his narration! It's perfect for each story, with just the right amount of feeling. If you could take any character from Nightmares and Geezenstacks out to dinner, who would it be and why? 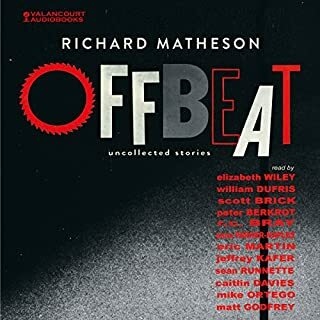 This was a thoroughly enjoyable collection of short stories, superbly narrated by Matt Godfrey. 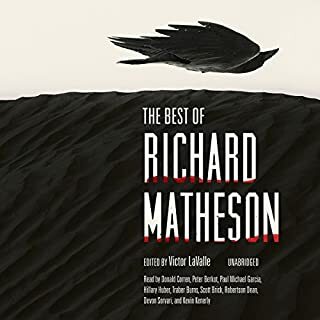 I can see now why Stephen King gave Fredric Brown and specifically this collection a special mention in his non fiction book about influential horror written during the 1950's through the 1970's: Danse Macabre. Within this volume, there are nearly 50 stories, most of them very short. There were some sci-fi tales mixed in, but most of these were horror. For whatever reason, these tiny gems brought me back to the stories I read when I first got into horror. I would say the period after Poe, but before King. I did a lot of short story reading back then; I used them as a way to find new authors, and then longer works written by them. Somehow, I never discovered Mr. Brown back then, but I'm so glad that I've discovered him now. THE GEEZENSTACKS This was Just. Plain. Fun! How can you go wrong with a horror story about dolls?! CAT BURGLAR That ending cracked me up! There were several stories that began with "NIGHTMARE IN..." and I pretty much loved all of those. Matt Godfrey does a tremendous job narrating these stories. I've listened to a few of his audios now, and he's quickly becoming one of my favorite narrators. Will Patton had better watch out! That being said, I loved this collection. It had short stories that were actually short, it had a great deal of variety, most tales packed a real punch and the narration was wonderful. I give this my highest recommendation!